Richard Wershe, Jr. was such an unusual informant the FBI didn’t have any rules for dealing with someone like him. That’s because he was 14 years old and looked like the lead character in a popular children’s TV show. But he was soon doing things no kid ever imagined doing. That’s how retired FBI Special Agent Herman Groman describes the first time he met teen informant Richard J. Wershe, Jr., also known as White Boy Rick. For those who aren’t of the Baby Boomer generation, Howdy Doody was a highly popular puppet character on a children’s TV show in the 1950s. 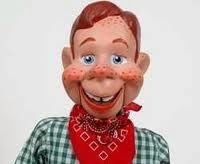 Nearly every Baby Boomer remembers Howdy Doody from childhood. Howdy Doody had a shock of red hair and impossible-to-miss freckles on his always-smiling face. He had a human sidekick named Buffalo Bob and various pals such as Clarabell the Clown who communicated by honking horns. Groman remembers Rick Wershe was sitting in a McDonald’s restaurant on Detroit’s West side, along with his father, Richard Wershe, Sr. and FBI agent James Dixon, who had recruited the younger Wershe to become an FBI confidential informant against a major Detroit drug gang. Groman was working on C-10, the local FBI office narcotics squad. Dixon worked on C-6, which handled white collar fraud and some other crimes. Dixon had met the younger Wershe through his father Richard J. Wershe, Sr. who was an on-the-books FBI informant. It was pure happenstance in a meeting with the senior Wershe that led Dixon to realize the informant’s 14-year old son could be a useful snitch, too. Herm Groman insists he wasn’t comfortable using an informant who was 14-years old. But he didn’t make a stink about it with the FBI bosses, either. This is consistent with the FBI culture regarding informants, according to Kenneth Walton, former Special Agent in Charge of the Detroit office of the FBI in the mid-80s, now retired. There has been considerable debate over the years about the use of underage informants among retired FBI agents who were on the job in Detroit at the time that Rick Wershe, Jr. was working secretly as an FBI snitch. Some think it was flat-out illegal. Others believe it was against FBI or Justice Department policy. Still others think the use of a juvenile informant had to have management approval. Walton notes FBI agent investigative work was governed by two volumes; the Manual of Rules and Regulations and the Manual of Instructions. Inside the FBI the local boss, the Special Agent in Charge is referred to by the first initials of the job description; the Special Agent in Charge is the SAC. It is not pronounced “sack.” Each first letter is pronounced. S-A-C. Thus, the use of 14-year old Richard Wershe, Jr. as a confidential FBI informant didn’t violate any Bureau rules because there weren’t any rules for such a crazy thing. Rick Wershe’s undercover informant work extended beyond his interaction with FBI agents. 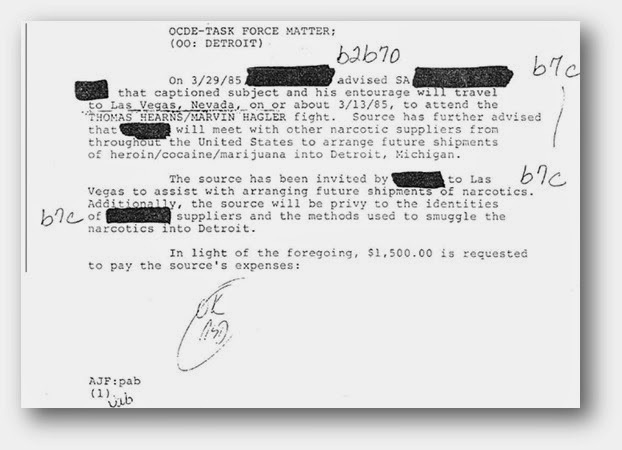 Detroit police officers were assigned to the federal drug task force and they had Rick Wershe make numerous drug buys within the Curry drug organization. As retired agent Groman notes, even though it was a task force, individual agencies within the task force had different goals. The FBI wanted to make big conspiracy cases that would bring down the entire organization. The Detroit Police, meanwhile, had a mandate to fight crime in the streets, so they had more of a buy/bust mentality; make an undercover buy, then kick in the doors, make arrests and confiscate whatever money and dope they found. Rick Wershe remembers Detroit Police Officer Billy Jasper, a federal task force member, had him make numerous drug buys. “Billy was burning up my pager for a while,” Wershe recalls. He remembers something else. Rick Wershe states one reason his late father went along with the cops using his teenaged son as an undercover snitch is that his father wanted the feds to help him handle the drug-abuse problems bedeviling Dawn Wershe, Rick’s sister. According to Rick Wershe, his father figured the task force guys would help him with Dawn Wershe if his son, Richard Wershe, Jr., was helping them. It didn’t work out that way. Even so, Rick Wershe kept snitching on the Currys. Young Wershe found it easy to hang out with the Curry Brothers drug gang. They knew him as a kid from the neighborhood. To them he was just Ricky. They didn’t know about his secret double-life as a snitch for the FBI. If they did they probably would have killed him. It wasn’t long before Richard Wershe Jr. was running with the Currys and getting deeper into their drug trafficking conspiracy. His FBI handlers got him a falsified Michigan ID which said he was 21. It looked authentic enough that he was able to rent cars and buy plane tickets, among other things. Soon he was traveling to Miami to pick up loads of cocaine for the Currys. For the Currys, Ricky was a valuable member of the gang. No one would suspect that a freckle-faced white teenager might be a cocaine courier, a drug mule. Rick Wershe freely admits he enjoyed the fast-lane life of the drug dealers. “I was blinded by the life,” Wershe says. He was out every night. He dropped out of school. His handlers on the federal drug task force encouraged him to go as deep as he could inside the Curry organization. That wasn’t hard. He had a knack for it. Here was a white kid from Detroit’s east side, hobnobbing with gangsters from the black underworld. There were hot cars, hot women and the hottest street fashions. Young Rick Wershe enjoyed it all. FBI file entry about paying for Rick Wershe's trip to the Hearns-Hagler fight in Las Vegas in 1985. The FBI file entry about fronting Rick the money to attend the Hearns-Hagler match had the initials “AJF” which stood for Special Agent Al Finch. When I contacted Finch, now retired, he refused to comment on any aspect of Rick Wershe’s role as an FBI informant. He made it clear he thought it was wrong to talk about FBI informants, even after all these years. Retired Special Agent Herm Groman, however, says he and Finch were co-case agents on the Curry case and while Finch was initially involved, he seemed to Groman to have distaste for cases being handled under the task force concept. Finch was hardly alone among FBI agents in distrusting the big tent, multiple-agency approach to investigations. Groman was fine with the task force concept, so he took over the Curry case. Groman says he didn’t actively work Rick Wershe as an informant but the teenager would call him from time to time with information. Groman says he was focused on moving the case to the wiretap stage. Wershe says he had never been to Las Vegas. Attending the Hearns-Hagler fight was huge for the role he was playing. "Being seen out there gave me a lot of street cred," Wershe told me. "Everyone assumed this kid is making (drug) money." Wershe was now sitting in on important Curry gang discussions of “business.” One such discussion occurred a few weeks after the Hearns-Hagler fight. It involved a murder. What Rick Wershe heard and what he reported to Special Agent Groman has played a key role in Wershe’s continued imprisonment to this day. That will be explained in the next post.